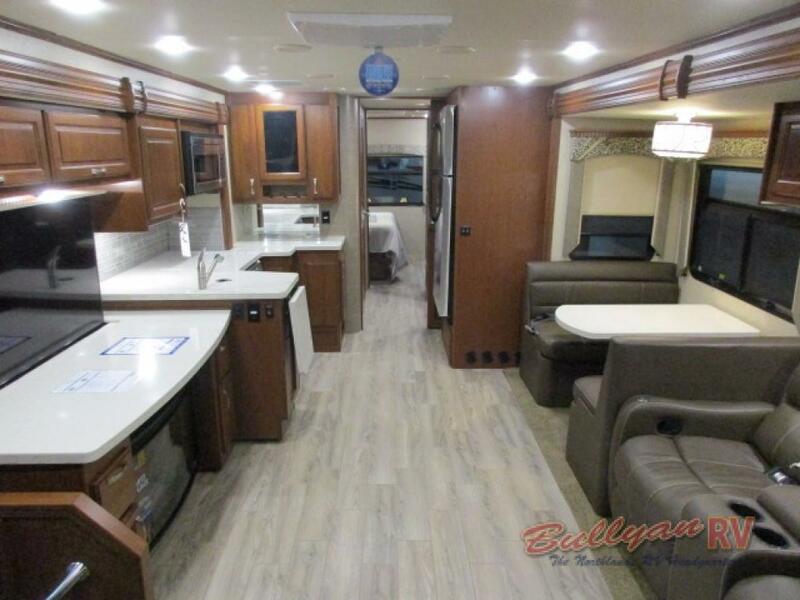 For an RV that delivers power, luxury and class all wrapped up in an eye catching package, be sure to take a close look at the Dynamax DX3 37TS Class C Diesel Motorhome. 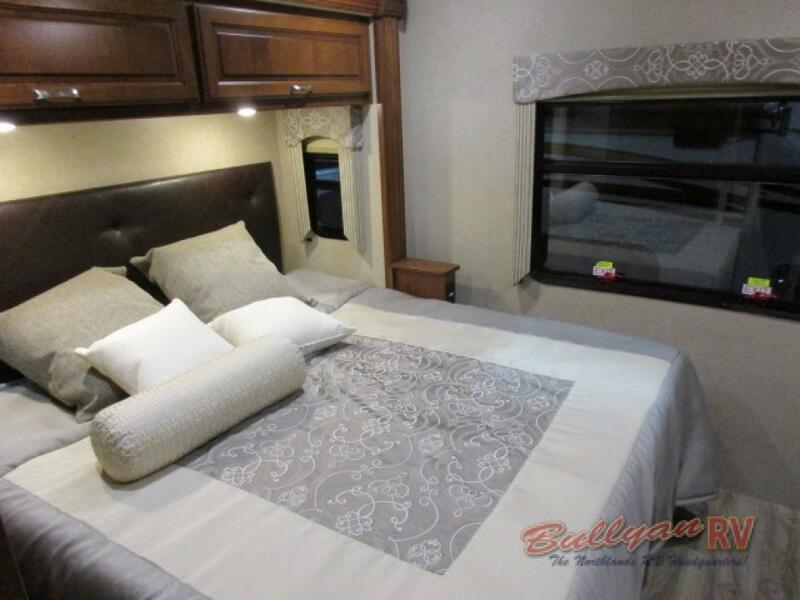 With a Diesel 8.9L Cummins ISL engine on a Freightliner chassis, triple slide out rooms and a wide array of up scale amenities, this one of a kind motorhome leads the pack. 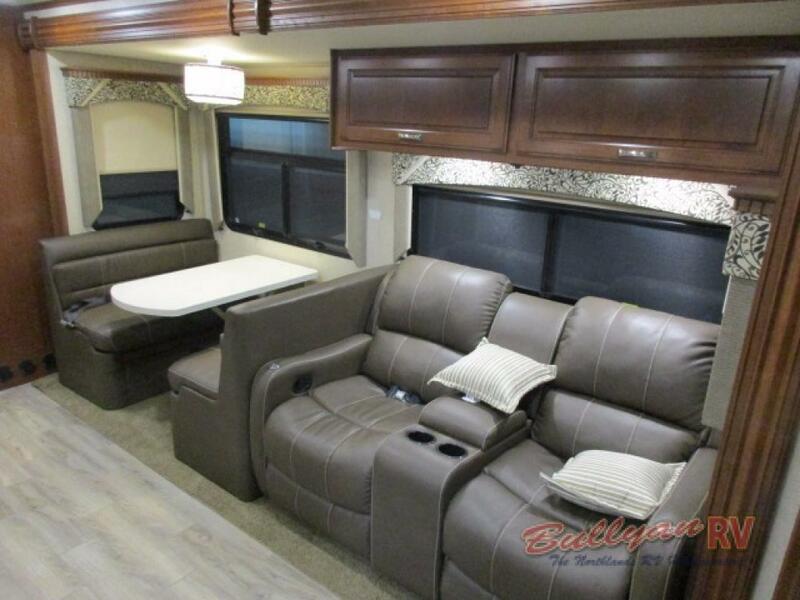 The Dynamac DX3 Class C Diesel Motorhome opens up unique travel opportunities to suit the most discerning RV adventurers. With a 20,000 lb towing capacity, you will be able to pull a wide range of vehicles through any terrain. 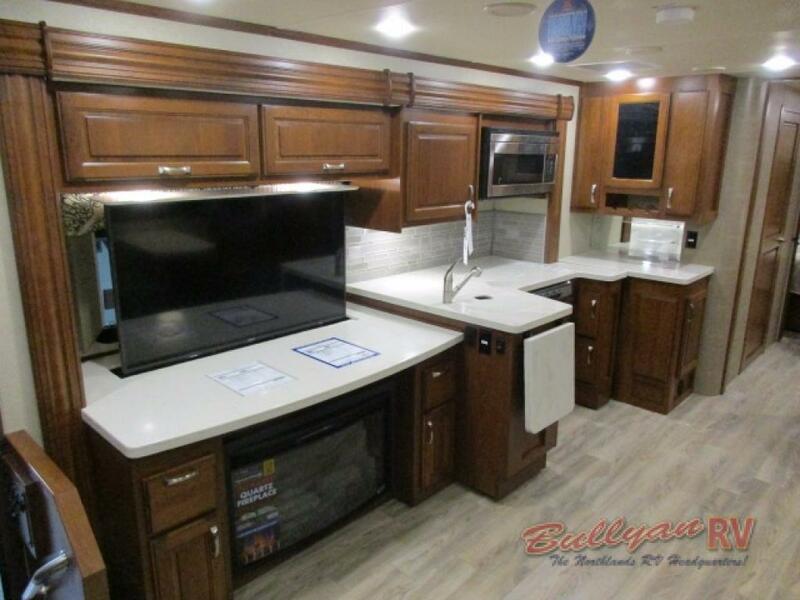 Surround yourself in refined luxury, the Dynamax DX3 37TS floorplan sleeps 5 comfortably, has three slide outs, offers a spacious living area and private rear bedroom with walk through bathroom. As you enter the coach, you will be facing reclining theater seating and a dream dinette slide with ultra comfortable high end upholstery. Opposite these seating options you will find the galley kitchen and a pop-up TV. 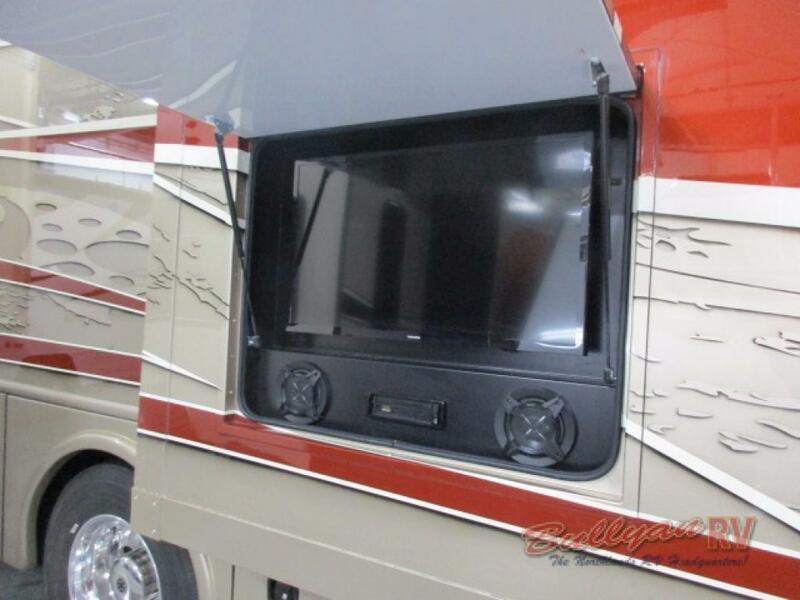 This hide away TV maximizes your use of space while also protecting it during travel. Beneath the TV there is a state of the art infared quartz fireplace, ideal for cozy evenings. Above the cockpit, there is extra storage space which is plentiful and easily accessible. The hardwood cherry cabinetry with raised panel fronts exudes richness and adds to the tasteful decor throughout. Moving towards the back, you will pass through a conveniently placed walk through bathroom which is easily accessible to guests. Here you will find a spacious fiberglass shower stall with glass door, a porcelain toilet, solid surface lavatory counter top and backsplash and a deluxe hardwood medicine cabinet. 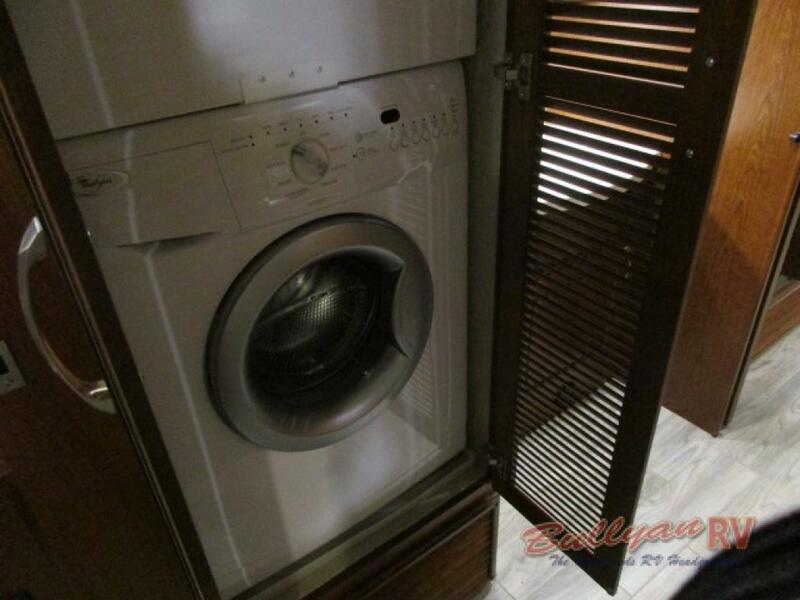 There is even a stacked washer and dryer for extended living trips. At the end of the day, you can look forward to a restful night’s sleep in the Dynamex DX3’s gel infused memory foam king sized mattress with i-cool technology. The same quality cherry cabinetry and solid surface counters carry over into the bedroom. 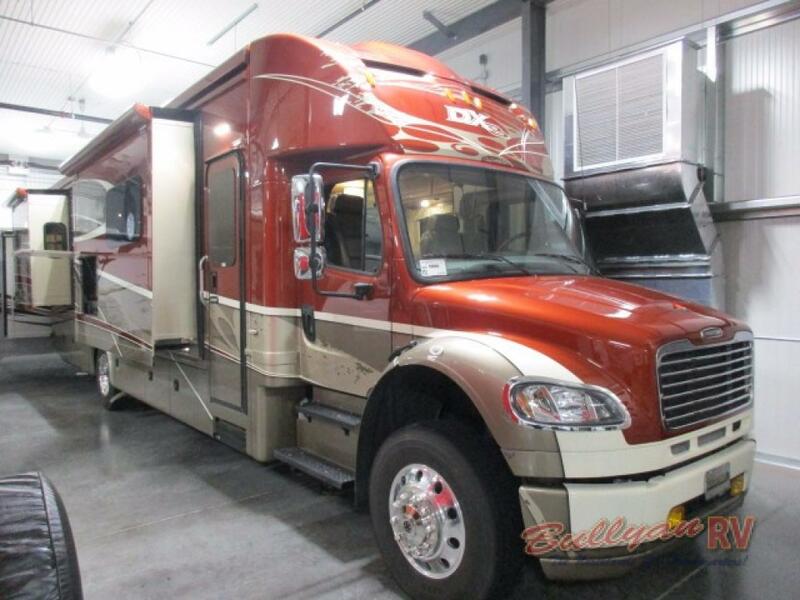 There are no shortcuts in high level design in this beautiful motorhome. The custom full body paint with stainless bottom package will turn heads as you cruise on down the road towards your new destination. 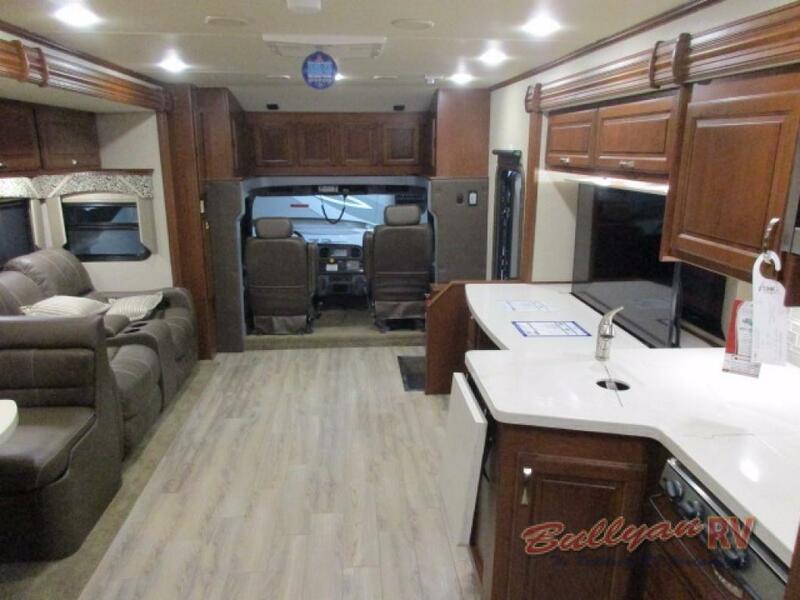 To see the magnificent Dynamax DX3 37TS Class C Diesel Motorhome in person, Contact Us at Bullyan RV or visit us at Our Location. We love showing off this unique coach!